When I think of sonnets, my mind takes me right to William Shakespeare. 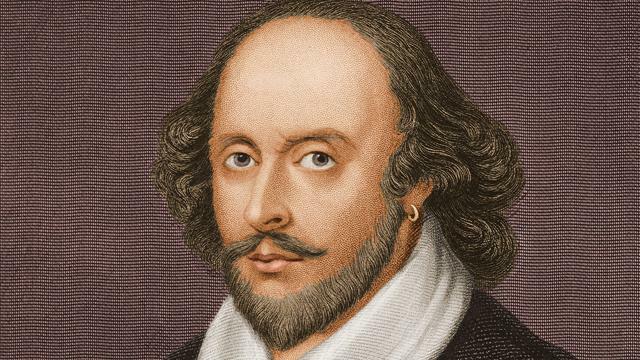 William Shakespeare was born April 25, 1564 and died April 23 1616 at the age of 52. What can I say about the bard that most of us don't already know? My late mother in law adored him and had memorized all his plays. Numerous sites are dedicated to him and his works may be found online here, here, here and here to name a few. He wrote many sonnets which are a poetic form. What exactly is a sonnet? The word comes from the italian sonetto which means little song. a poem, properly expressive of a single, complete thought, idea, or sentiment, of 14 lines, usually in iambic pentameter, with rhymes arranged according to one of certain definite schemes, being in the strict or Italian form divided into a major group of 8 lines (the octave) followed by a minor group of 6 lines (the sestet), and in a common English form into 3 quatrains followed by a couplet. Here, three quatrains and a couplet follow this rhyme scheme: abab, cdcd, efef, gg. The couplet plays a pivotal role, usually arriving in the form of a conclusion, amplification, or even refutation of the previous three stanzas, often creating an epiphanic quality to the end. Poets of today used a modernized version of the sonnet and is only recognizable by its 14 lines and thematic qualities. Check out this link with examples and links to various poets. Want to write a sonnet of your very own. Check out How to Write a Sonnet offered by No Sweat Shakespeare or Sonnet Writer's instructions. No, I won't challenge you to write a sonnet, however if you have a mind too, please share. This week I chose Anne O'Brien's 'Virgin Widow', the story of Anne Neville who married Richard III. It is a very romanticised version of the tale, in my opinion not nearly as good as Philippa Gregory's 'The Kingmaker's Daughter'.